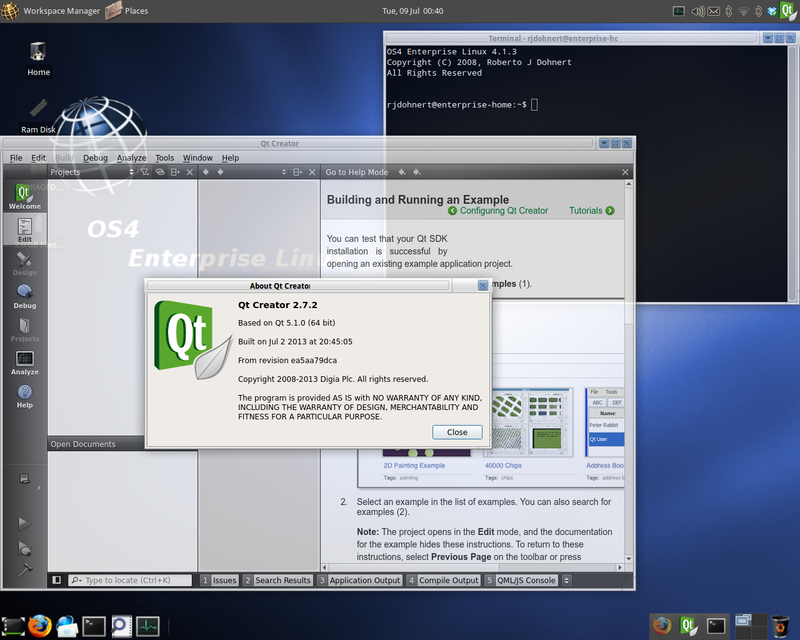 Today we are pleased to release OS4 Enterprise Linux 4.1.3. With this release we are bringing incremental and some feature changes to our next generation Enterprise Linux offering. All updates are available via the Update manager for current customers who do not wish to reinstall their system. We do recommend those customers do a complete system backup before you upgrade. 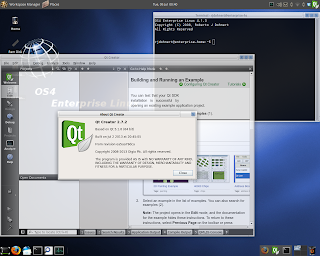 So whats new in OS4 Enterprise Linux feature wise? Quick launch from the top panel to the tilebar, this allows us to make available to system admins quick launch utilities that have been requested. 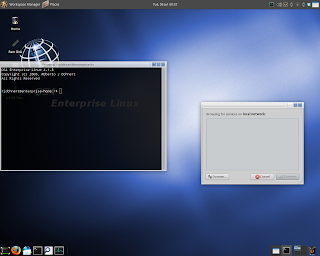 mail launcher to launch the mail client, terminal for accessing lower level functions and command line configuration tools. the system monitor for monitoring system activity. Permanent RAM disk. So why do we need a RAM disk in 2013? This allows system admins a place to put temporary files they may not want to keep on their user desktops that will be gone with the next reboot. For kiosk users, this will allow them to store configuration files so if the Kiosk gets compromised they can reboot and restore the machine quickly and efficiently. They can also use it as a store point if they allow users to download files so when that user leaves, they can clean up the desktop quickly. 3.2 kernel update that includes new drivers and new features. 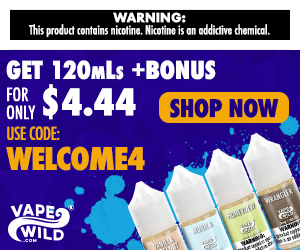 We have also sped up the system so its faster. Many more system updates and driver updates. *System Imager is not available via the repositories at this time and will be released publicly at a later date. 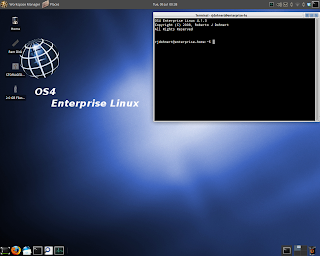 OS4 Enterprise Linux is available through the OpenSystems Marketplace for $99.00 or you can quick purchase below for new users. OS4 Enterprise Linux 4.1.3 is available to be used as the default operating system on ALL HARDWARE available in the OpenSystem Marketplace. The Demo ISO is available via our Sourceforge Page. It does not include an hard drive installer, Synaptic or System Imager 0.1.1 or the OS4 kernel 3.9 install script. It is to test for hardware compatibility.